An innovative textbook that explores the ‘why’ behind global financial stability, providing insightful discussions on the international financial system and the contemporary issues of today. This book is suitable for both undergraduate and masters students, and the book has been used successfully in a masters course at the London School of Economics, FM 447, Global Financial Systems. The book uses economic theory, finance, mathematical modelling, risk theory, and policy to posit a comprehensive, coherent and current economic analysis of the inherent instabilities of the financial system, and the design of optimal policy response. The book contains an up-to-date and thorough analysis of the 2007/08 financial crisis, the subsequent changes in financial regulations and government policy. It concludes with analysis of the ongoing European sovereign debt crisis. In addition, we provide three on-line chapters, hosted here, that contain the latest developments in financial regulations, the European sovereign debt crisis and future challenges. These chapters are updated regularly as merited by current developments. Under what circumstances have we achieved financial stability? Which previous crises inform the current ones and in what way? What are the common themes and lessons for policy, regulation and financial theory? 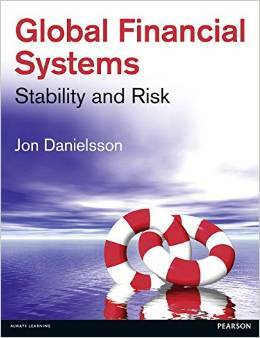 Global Financial Systems: Stability and Risk, looks to be an important book… it will appeal to those interested in regulation as well as those more on the regulatory side.